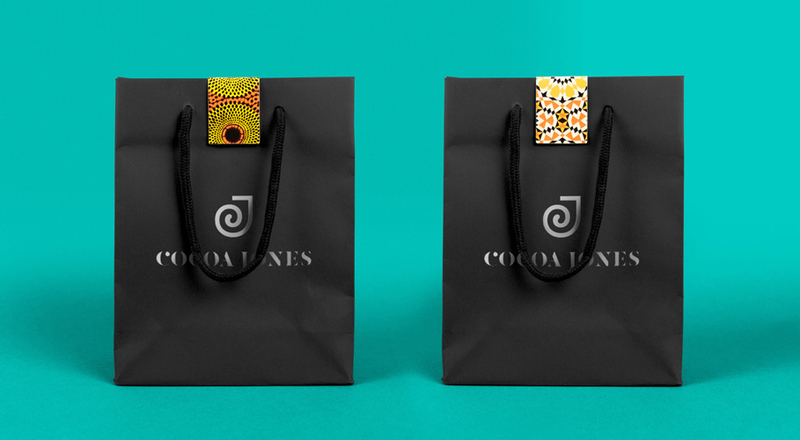 Cocoa Jones have worked with Supple Studio to create a series of vibrant patterns for their packaging and identity to represent their co-founders who originate from Nigeria and Pakistan. 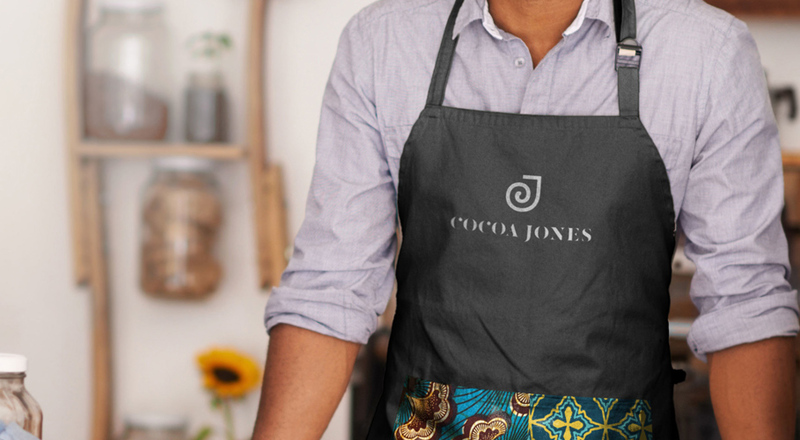 Cocoa Jones is a family run business that was started in 2017 by husband and wife pair Michael Ogazi and Naz Khan, from Nigeria and Pakistan respectively. 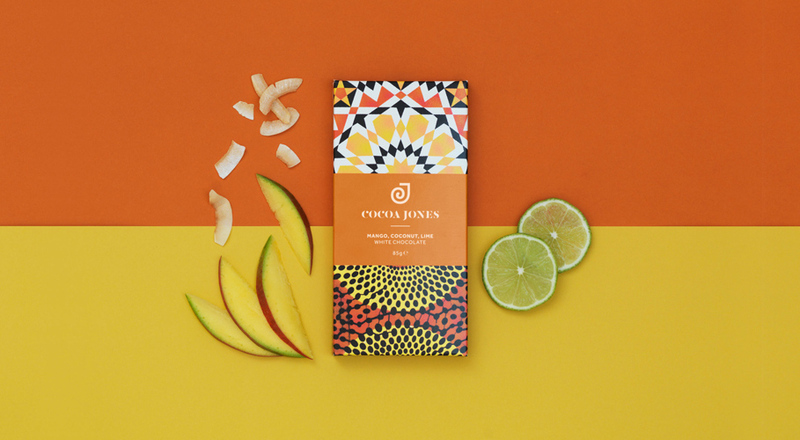 Complex flavours are picked for the brand, with a host of flavours in a single bar, such as mango, coconut and lime white chocolate, and pistachio, strawberry and rose dark chocolate. 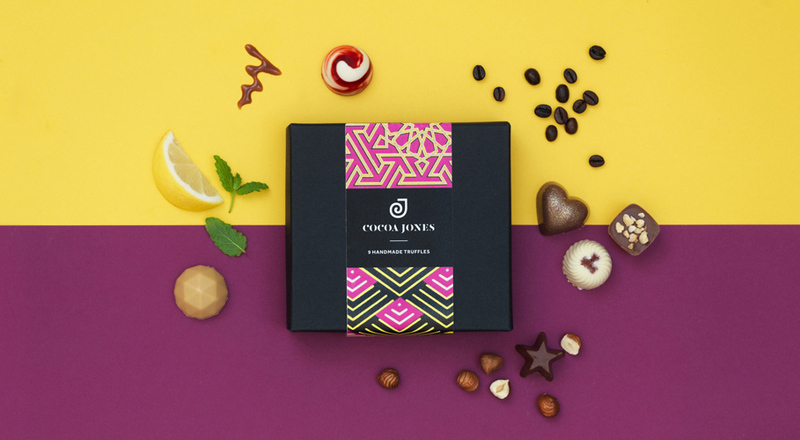 The studio opted to create a monogram for the branding, shortening Cocoa Jones to “CJ”, and also to create packaging that brings the two cultures together via the ingredients and heritage. The monogram logo comprises of a “swirly CJ monogram” says design director at Supple Studio, Phil Skinner. This is used alongside the brand name which is set in a serif typeface, in all-caps underneath. 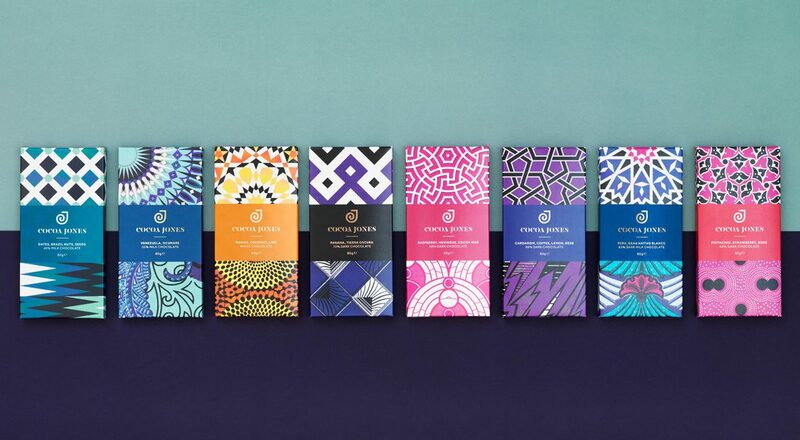 A series of packaging illustrations have been designed which are intended to represent the “experimental flavour combinations” of the chocolate, says Skinner, with two patterns on each bar that are separated by a panel that goes horizontally across the middle where you will find the logo and ingredients in gold. 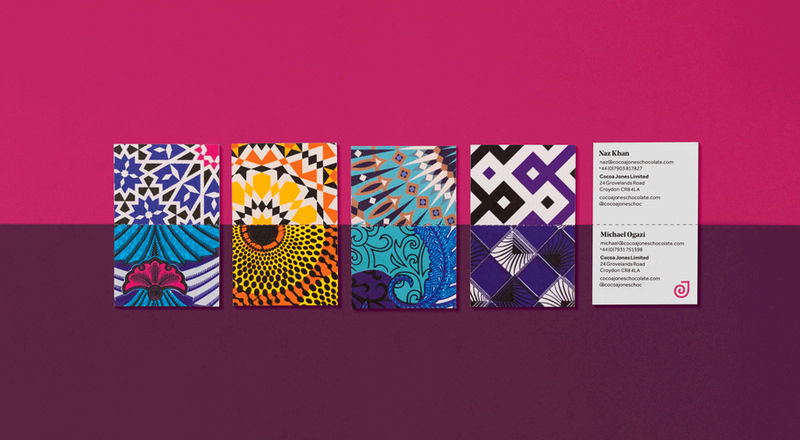 The illustrations take their inspiration form traditional Islamic and African patterns found on textiles, which is a link again to the company founders, which in essence “bring together two cultures on pack”, says Skinner. 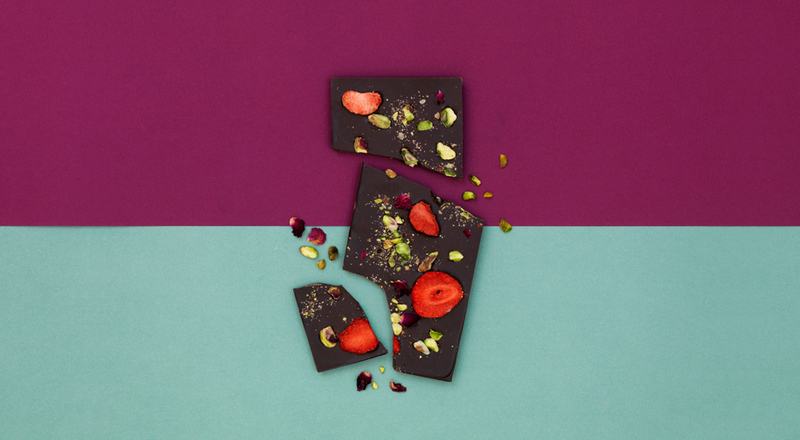 The colours and shapes that are used on the bars also look to reference the ingredients that are contained in each bar of chocolate. The colour palette of the branding is made up of different shades of pink, red, purple, blue, green, orange, yellow, black and white, which are used alongside the gold for the type. 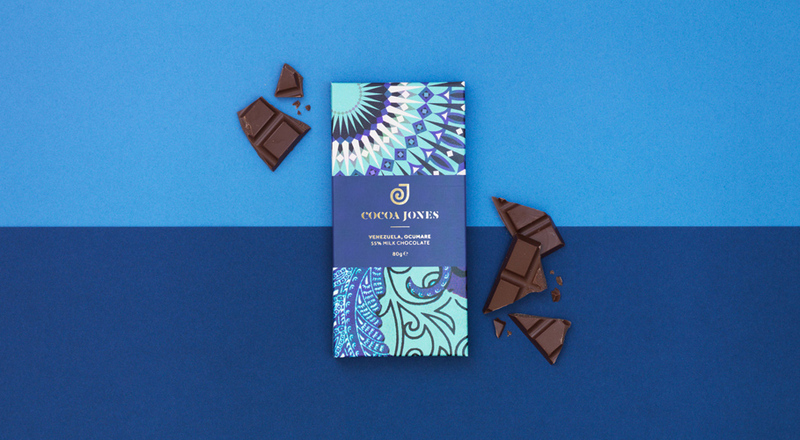 “We wanted the bars and brand to feel premium, as this is a small-batch, hand-crafted product, but also colourful and full of character. The range has a great deal of flexibility and variation to encourage discovery, while also clearly belonging to the same family,” says Phil Skinner. The branding is now rolling out and can be found on shelf, packaging and shop bags, advertising collateral, business cards, and also online on the website and social media.